Multiplication Gameboards: Contains five different gameboards complete with cards and instructions. 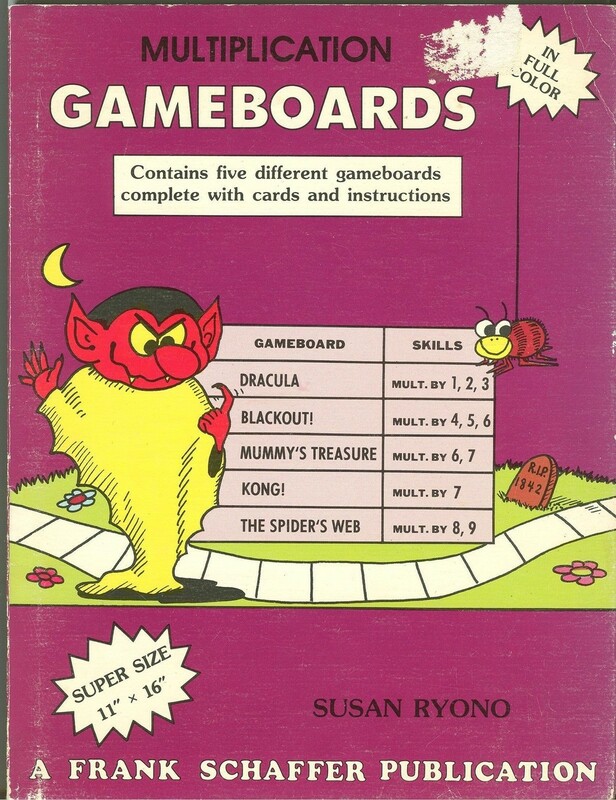 Gameboard Skills Dracula Multi by 1, 2, 3 Blackout! Multi by 4, 5, 6 Mummy’s Treasure Multi by 6, 7 Kong! 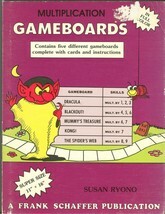 Multi by 7 The Spider’s Web Multi by 8, 9 Soft cover; Fair. No Jacket; 1978 Copyright In Softcover Format, Super Size-11” x 16”; Authored By Susan Ryono, Published By Frank Schaffer Publications; No ISBN; (1978 Copyright); Cat.No.906. UNUSED.